Combines modern styling and outstanding comfort. 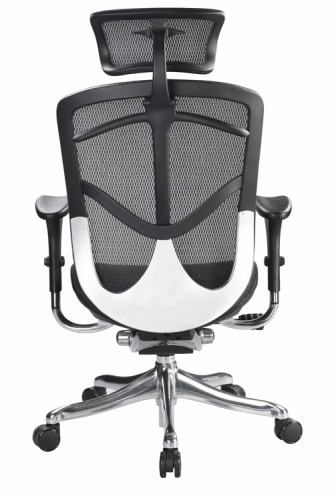 The Fuzion series utilizes advanced passive ergonomics to create a user friendly and comfortable mesh office chair. 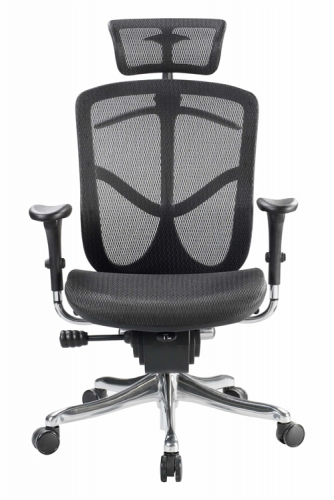 Fuzion is a great choice for the office, home or boardroom with an integrated coat hanger and featuring built in lumbar support within the soft and supportive mesh, the Fuzion sits the user in a relaxed position and is simplistically easy to adjust. 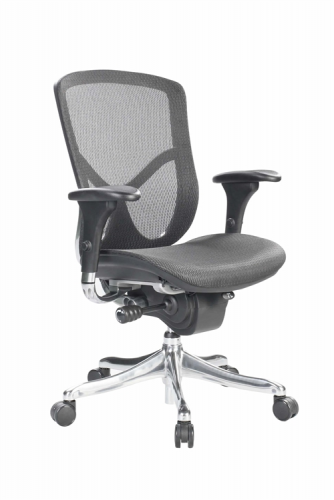 The waterfall seat edge reduces thigh pressure for a more ergonomic sit. The chair also features a synchro-tilt with infinite lock, built-in seat slider (luxury models), adjustable headrest (optional) and adjustable soft touch arm-pads. Luxury models feature chrome and polished aluminum accents, an advanced synchro tilt control, integrated seat depth adjuster, and pivoting armrest. A - Tilt Tension Control - Increase or decrease tile tension depending on the user's bodyweight. 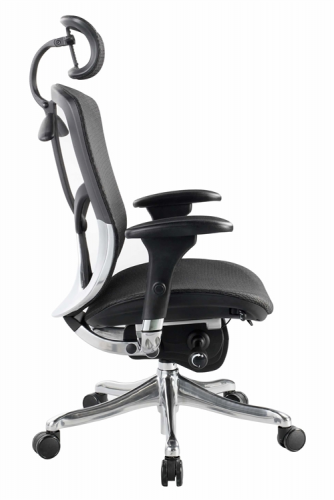 D - Tilt Lock - Lock in positions to accommodate your posture. 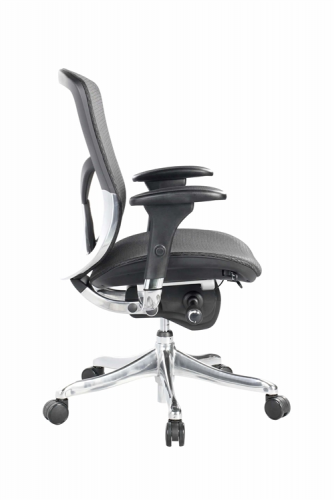 E - Back ANgle Adjustment - Adjust to change the angle of the back in relation to the seat. Will alllow for multiple angles based on individual's size. F - Synchro-Tilt - Backrest and seat tile in unison. Back tilts more than seat and is tension adjustable. G - Seat Height Adjustment - Raise od lower so your feet rest flat on the floor. This will accomnmodate indidvuals of different heights. G - Waterfall Seat - Reduce pressure at the back on the knee allowing for good blood flow. K - Seat Depth Adjustment - Change the depth of the seat to accommodate the length of your theighs. Keep your back in contact with the backrest while avoiding pressure behind your knees. 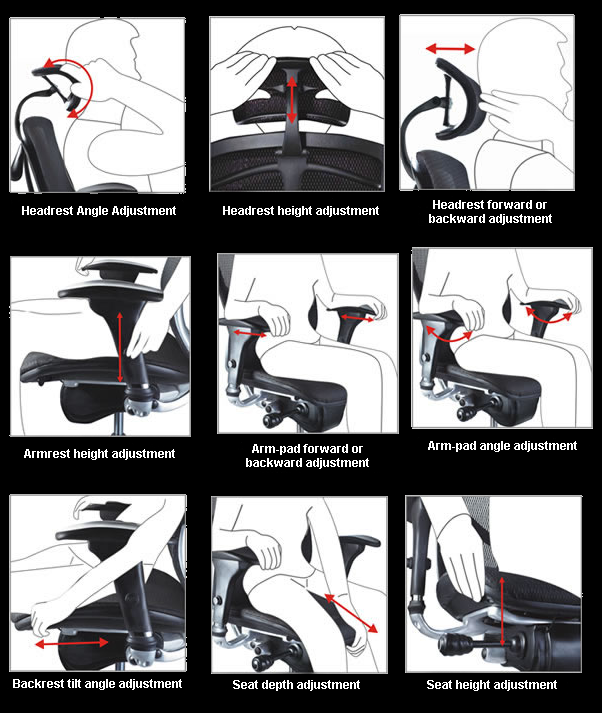 M - Arm Height Adjustment - Raise or lower so your forearms rest comfortably while typing at a computer and working at your desk. 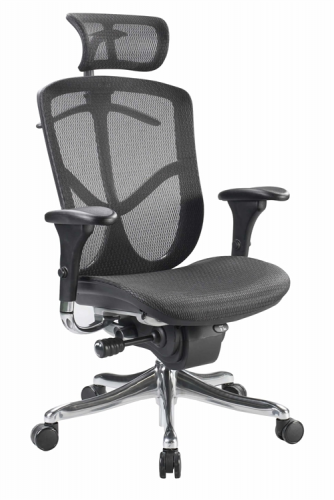 Seat Depth: 15½" - 17¾"
Seat Height Range: 18¼" - 23"
Backrest Height: 27½" - 29½"